Is Your Halloween Candy Responsibly Sourced? The chocolate and candy industry, however, has been working hard to up its game in terms of the environmental and social responsibility of its global supply chain, from supporting the livelihood of African cocoa farmers to zero-waste-to-landfill candy factories. For many of us, Halloween is all about the chocolate. From classic candy bars to high-end delicacies, rich and creamy chocolate is the flavor of the season. It takes 500 cocoa beans to make a pound of chocolate and each cacao tree can only make about two pounds of chocolate a year. So imagine the billions of cacao trees worldwide required just to feed our Halloween habit! Cocoa beans grow best in hot and rainy regions hugging the equator, places like Ghana, Nigeria, Ivory Coast, Ecuador, Peru and Papua New Guinea. Unfortunately, these same regions suffer from chronic economic and political instability, as well as new threats from climate change. The chocolate industry has responded to these challenges by partnering with global nonprofits to better support farmers and their communities, and in turn ensure the long-term viability of high-quality raw cocoa. Source Trust is a nonprofit founded by swiss chocolatier Lindt with the goal of transforming farmer livelihoods through grower training and community assistance. 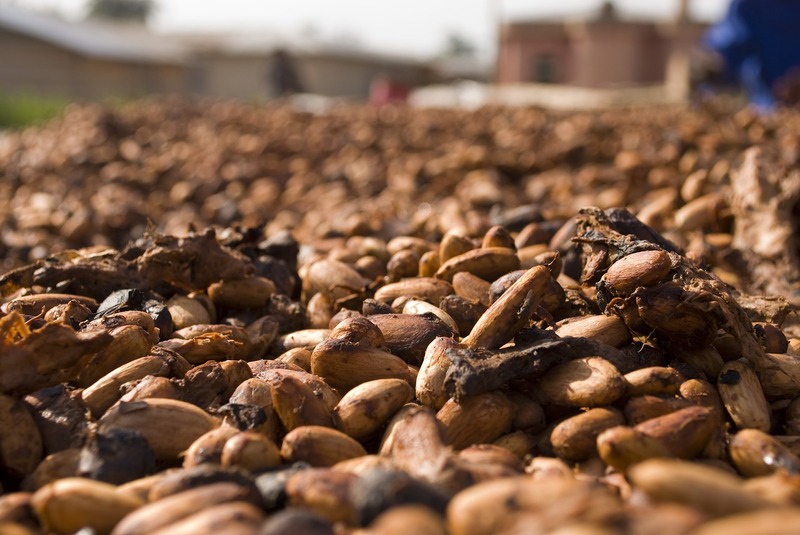 Lindt sources 100 percent of its cocoa beans from Ghana, where it can be sure that they’re grown responsibly, which includes crop management plans, plant biodiversity, labor rights and business support. Lindt also invests directly in cocoa-growing communities, drilling freshwater wells and building resource centers with computers and internet access. Other brand-name chocolate companies that partner with Source Trust include Ferrero, Hershey, Fazer and Meiji. That’s one less thing you have to feel guilty about when you gobble down those Kinder Eggs, Kisses and Lindor Truffles. Mars, Inc., the world’s largest candy company, has its own Responsible Cocoa program, promising to source and trace 100 percent of its cocoa beans by 2025 to cocoa growers that protect the forests, employ fair and safe labor practices, and provide a living wage. Mars has invested $1 billion over the past 10 years to strengthen cocoa-growing communities (including training for alternative crops and microloans for small businesses) and to advance cocoa science, including the Cacao Genome Project. While it doesn’t have the name recognition of cocoa, palm oil is another essential ingredient that powers your Halloween stash. Palm oil is used to make chocolate, cookies and nearly half of the items in a typical supermarket (it’s often listed as just “vegetable oil”), but it’s come under fire in recent years for contributing to deforestation. In Indonesia, for example, large tracts of rainforest have been cut down to make room for oil palm plantations, sometimes destroying important orangutan habitats. Nestlé is one of several large chocolate-makers that has pledged to use 100 percent responsibly sourced palm oil in all its products. The world’s largest food and beverage company made a “no deforestation” commitment in 2010 and has vowed not to source palm oil from land that was cleared of natural forest after 2015. To monitor forest health at all of its global oil palm plantations, Nestlé has also partnered with Airbus and The Forest Trust to create a satellite-based system called Starling that alerts the company to any forest loss across its global palm oil supply chain in real time. American chocolate-maker Hershey, in addition to its commitments to responsible cocoa and palm oil sourcing, has made some nifty packaging innovations that have saved millions of pounds of paper and aluminum. Hershey Miniatures, for example, one of the most popular Halloween candies of all time, unveiled a new look in 2014 that cut down on packing by 0.05 grams per chocolate bar. Hershey said the new design would save the paper equivalent of nearly 2,000 trees per year. Hershey has also reconfigured its manufacturing processes to use 70 percent less water and produce far less waste. The chocolate-maker has already converted 11 of its production sites to zero-waste-to-landfill facilities and is on track to reach 100 percent compliance by 2025. So if you wake up on November 1 with a Halloween hangover, take comfort in the thought that chocolate and candy may not be great for your low-carb diet, but at least they’re getting better for the planet. SupplyShift helps some of the world’s biggest brands assess key areas in their supply chains like deforestation, labor, and commodity-specific topics. Browse our library of pre-built assessments to learn more. Why Uncommon Cacao is using SupplyShift to build trust into their entire supply chain. 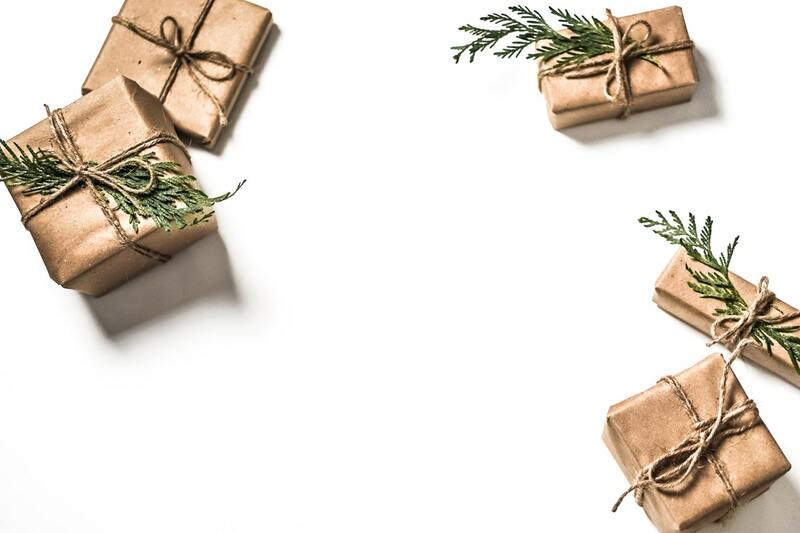 What’s in a Box: Creating More Responsible Holidays! How can we minimize our impact during the most packaging reliant season? How SupplyShift mobile will improve the livelihoods of many Rwandan coffee farmers.